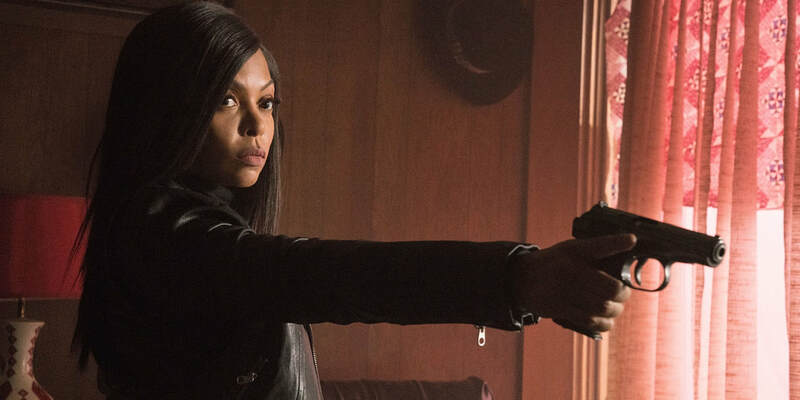 THE STORY - Taraji P. Henson is Mary, a hit woman working for an organized crime family in Boston, whose life is completely turned around when she meets a young boy whose path she crosses when a professional hit goes bad. THE GOOD - Taraji P. Henson is an amazing talent and can hold her own as a powerful, yet complex lead action star. THE BAD - The film around Henson is challenged in it execution to include writing, directing and supporting performances worthy of merit. ​​Taraji P. Henson has established herself as a talented and capable leading lady. Performances in 2016 “Hidden Figures” as real life hero, Katherine G. Johnson, as well as her role of Cookie Lyon on Fox’s “Empire”, have certainly highlighted her abilities to represent strength, power and vulnerability in all of the right ways. In the role as Mary in "Proud Mary," similar abilities are on display and she cements herself as entirely capable and as a result, is the best part of this film. When we first meet Mary in her element, executing on an ordered hit for an organized crime family headed by Danny Glover, we learn quickly that there is depth to her motives and this character. Unfortunately, fairly early on, it is also clear that the narrative structure of the script and editing choices were going to impact this films ability to be successful in the ways we would have hoped for given Henson’s involvement. In a rushed first sequence of events, we quickly establish that she has made a choice the she regrets, highlighted by a heavy sigh and lingering camera to make sure that we the audience got the message. We do and we did. Time passes and she is making choices that we somewhat understand, but that seem forced and unearned. Once she officially meets with the complication to her plans, Danny (played by Jahi Di’Allo), there is an artificiality to their connection. Then to make matter worse events unfold surrounding this relationship that is ludicrous and not in line with what you would expect from an individual in a profession that requires discipline and fortitude. It is almost to say that this onset of a sudden mothering instinct has completely shed her ability to act rationally. Through the first act, she continues to make decisions that are not justifiable or that the audience can in any way support or understand. Suddenly on a dime, some key plot points unfold that help us to understand why Mary is who she is. Attempts to show this tough as nails woman as a victim do not validate the prior actions. There is nothing in that unraveling of details that offsets what we have learned about the character thus far. I struggled to stay connected to the film from this point on because none of the events in the final act feel earned. The action scenes are passable, but there is nothing overly engaging. Most of the action is gunfire and the body count that we are left with is in no way satisfying. The additional cast struggles to bring the material to life. Danny Glover is not believable in the role as “the crime boss" and no real context is given as to what the nature of such “crime bossing” is. Like many elements of the film, it is left to assumption. The actor playing the character of, Danny, the young orphan, does a passable job with the material he has to work with, but unfortunately his arc and sudden jumps from vulnerable to completely rash are also a challenge to get behind. There are moments of lazy filmmaking like a hoodie that is needed happening to be on a rack in a suit store. There are simply too many convenient choices that, unfortunately, add to a low quality feel to a film that had a $15 million dollar budget. In summary, I would love to see Taraji P. Henson play a lead action lady in a move that is deserving of her talents. If you chose to see the film, see it to support her. Unfortunately while you do, you will be subjugated to some frustrating storytelling and filmmaking choices.